By enrolling in the Flip Your Life membership, program, community, or any other product offered, you agree to comply with and be bound by the following terms and conditions of use. Please review these terms and conditions carefully. If you do not agree to these terms and conditions, you should not continue with your purchase. This is a membership website. Payments will process automatically on the schedule you selected at the time of purchase (yearly, quarterly, or monthly). Trials: $1 trials will automatically renew 14 days from sign up unless cancelled by the user. Free trials will automatically renew 30 days from sign up unless cancelled by the user. All cancellations must be requested at least 48 hours prior to the payment date. Current renewal rates can be found at https://flippedlifestyle.com/flipyourlife. There are no refunds on monthly memberships, trials, or one time purchases associated with trial promotions. This Agreement (the “Agreement’”) specifies the Terms and Conditions for access to and use of the Flip Your Life course and describes the terms and conditions applicable to your access of and use of the Site. This Agreement may be modified at any time by Shane & Jocelyn Sams upon posting of the modified agreement. Any such modifications shall be effective immediately. You can view the most recent version of these terms at any time at FlippedLifestyle.com/terms. Each use by you shall constitute and be deemed your unconditional acceptance of this Agreement. (a) Our Content. All content included on this site is and shall continue to be the property of Shane and Jocelyn Sams or its content suppliers and is protected under applicable copyright, patent, trademark, and other proprietary rights. Any copying, redistribution, use or publication by you of any such content or any part of the Site is prohibited without express permission by Shane and Jocelyn Sams. Under no circumstances will you acquire any ownership rights or other interest in any content by or through your use of this site. 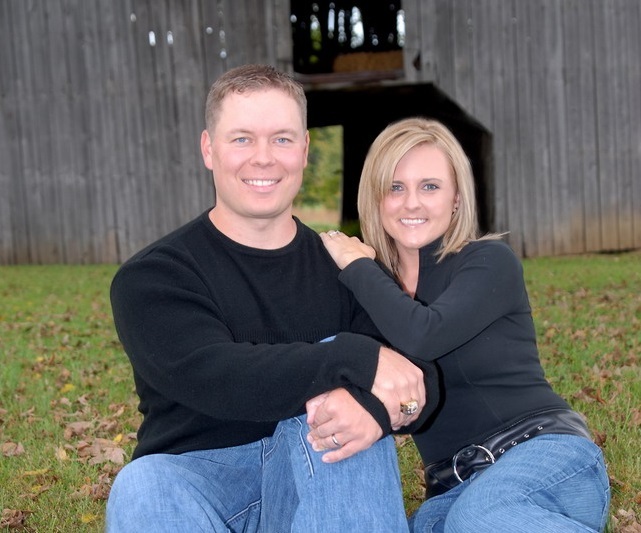 Flipped Lifestyle is the trademark or registered trademark of Shane and Jocelyn Sams. Other product and company names mentioned on this Site may be trademarks of their respective owners. (c) Personal Use. Shane and Jocelyn Sams grant you a limited, revocable, nonexclusive license to use this site solely for your own personal use and not for republication, distribution, assignment, sublicense, sale, preparation of derivative works, or other use. You agree not to copy materials on the site, reverse engineer or break into the site, or use materials, products or services in violation of any law. The use of this website is at the discretion of Shane and Jocelyn Sams. Shane and Jocelyn Sams may terminate your use of this website at any time. (d) Other Uses. All other use of Content from the Site, including, but not limited to uploading, downloading, modification, publication, transmission, participation in the transfer or sale of, copying, reproduction, republishing, creation of derivative works from, distribution, performance, display, incorporation into another web site, reproducing the Site (whether by linking, framing or any other method), or in any other way exploiting any of the Content, in whole or in part, is strictly prohibited without Shane and Jocelyn Sams’ prior express written consent. (a) DISCLAIMER OF WARRANTIES. THE INFORMATION ON THIS SITE IS PROVIDED ON AN `”AS IS,” “AS AVAILABLE” BASIS. YOU AGREE THAT USE OF THIS SITE IS AT YOUR SOLE RISK. Shane and Jocelyn Sams DISCLAIM ALL WARRANTIES OF ANY KIND, INCLUDING BUT NOT LIMITED TO ANY EXPRESS WARRANTIES, STATUTORY WARRANTIES, AND ANY IMPLIED WARRANTIES OF: MERCHANTABILITY, FITNESS FOR A PARTICULAR PURPOSE, AND NON-INFRINGEMENT. YOUR SOLE AND EXCLUSIVE REMEDY RELATING TO YOUR USE OF THE SITE SHALL BE TO DISCONTINUE USING THE SITE. FURTHERMORE, Shane and Jocelyn Sams DO NOT WARRANT THAT USE OF THE SITE WILL BE UNINTERRUPTED, AVAILABLE AT ANY TIME OR FROM ANY LOCATION, SECURE OR ERROR-FREE, THAT DEFECTS WILL BE CORRECTED, OR THAT THE SERVICE IS FREE OF VIRUSES OR OTHER HARMFUL COMPONENTS. Shane and Jocelyn Sams, their SUBSIDIARIES, VENDORS AND AFFILIATES DISCLAIM ANY RESPONSIBILITY FOR THE DELETION, FAILURE TO STORE, OR UNTIMELY DELIVERY OF ANY INFORMATION OR MATERIALS, AND ANY MATERIAL DOWNLOADED OR OTHERWISE OBTAINED THROUGH THE SITE. USE OF THE SITE’S SERVICES IS DONE AT YOUR OWN DISCRETION AND RISK, AND YOU WILL BE SOLELY RESPONSIBLE FOR ANY DAMAGES TO YOU COMPUTER SYSTEMS OR LOSS OF DATA THAT MAY RESULT FROM THE DOWNLOAD OF SUCH INFORMATION OR MATERIAL. (b) LIMITATION OF LIABILITY. Shane and Jocelyn Sams SHALL NOT BE RESPONSIBLE OR LIABLE TO PROVIDERS OR ANY THIRD PARTIES UNDER ANY CIRCUMSTANCES FOR ANY INDIRECT, CONSEQUENTIAL, SPECIAL, PUNITIVE OR EXEMPLARY DAMAGES OR LOSSES, INCLUDING BUT NOT LIMITED TO, DAMAGES FOR LOSS OF PROFITS, GOODWILL, USE, DATA OR OTHER INTANGIBLE LOSSES WHICH MAY BE INCURRED IN CONNECTION WITH Shane and Jocelyn Sams OR THE SITE, OR USE THEREOF, OR ANY OF THE DATA OR OTHER MATERIALS TRANSMITTED THROUGH OR RESIDING ON THE SITE OR ANY SERVICES, OR INFORMATION PURCHASED, RECEIVED OR SOLD BY WAY OF THE SITE, REGARDLESS OF THE TYPE OF CLAIM OR THE NATURE OF THE CAUSE OF ACTION, EVEN IF Shane and Jocelyn Sams HAVE BEEN ADVISED OF THE POSSIBILITY OF DAMAGE OR LOSS. (a) Prohibition Against Data Mining. You are prohibited from data mining, scraping, crawling, email harvesting or using any process or processes that send automated queries to the Flip Your Life Program. You may not use the Flip Your Life Program to compile a collection of listings, including a competing listing product or service. You may not use the Site or any Materials for any unsolicited commercial e-mail. (d) Indemnification. You agree to indemnify, defend and hold Shane and Jocelyn Sams and our partners, employees, and affiliates, harmless from any liability, loss, claim and expense, including reasonable attorney’s fees, related to your violation of this Agreement or use of the Site. (f) All content (including but not limited to images, text, uploaded files, etc.) submitted to, uploaded, by members may be used in any way Sams Digital, LLC. This includes but is not limited to promotional activities, advertisments, testimonials, etc. (h) Cancellations. I understand that I can cancel my membership at any time. I understand that cancellation requests MUST be submitted using the Cancellation form at least 48 hours prior to my scheduled payment date. I understand if I do not cancel 48 hours prior to the scheduled payment date, I am not guaranteed the next payment will be prevented. It is my sole responsibility to make sure when I cancel it is prior to 48 hours of my next scheduled payment. I understand that there are no partial period refunds, and that cancellations will be processed immediately. The first payment is nonrefundable. Once the Cancellation form has been submitted, I understand that I will be unable to access the community once my request has been processed. Due to system limitations, Sams Digital, LLC is unable to honor requests to cancel on a future date. If I wish to retain login privileges until my next billing date, it is my responsibility to fill the cancellation form out at the appropriate time. i) NO REFUNDS DISCLAIMER: Due to the nature of this electronic product and the fact that it cannot be “returned”, we have a no refund policy unless otherwise mentioned in the offer. You cannot order and then ask for a refund straight away. Within minutes of ordering you will be able to download years worth of our effort and knowledge. None of the content is ‘drip fed’ you get all of it right away. There is no un-doing that once you access the members area. There are no partial month refunds, partial refunds on annual payments, or refunds of any kind on any other products. Cancellations will begin during the next scheduled payment period. By purchasing this membership you are agreeing to these terms and conditions. To cancel, fill out the Cancellation form at least 48 hours prior to your renewal date. NOTE: Cancellations near major holidays are excluded from the 48 hour window. You must cancel between 3-5 days before any major US holidays. Holidays include but are not limited to Christmas Eve, Christmas, New Years Eve, New Years Day, Thanksgiving (including the day before and weekend after), Bank Holidays, and all holidays recognized by the Government and major religious groups. Our websites may contain one or more videos and/or audio recordings (individually and collective hereinafter referred to as the “Recordings”). This section describes our respective rights and responsibilities with regard to the Recordings. We review our website periodically for broken or out-of-date Recordings. Any and all Recordings may be posted, altered, or removed at any time. To report problems with Recordings on our website, or for more information, please send an email to support(at)flippedlifestyle.zendesk.com. Flip Your Life and Flipped Lifestyle digital training, educational, and entertainment products have a shelf-life of 12 months. Meaning that if you purchase a digital information product from us, you should expect these links, documents, manuals, eBooks, articles, videos, software and other digital information or productivity items to be live, accessible and usable for a period of 12 months following your purchase. This “Shelf Life” does not apply to recurring memberships. Recurring memberships will remain active, accessible, and usable for an ongoing basis as you remain current with your membership dues. Failure to pay your membership dues may result in termination of your account and a loss of any/all data stored or entered therein. You may be required to rejoin at higher rates. Old content will be removed from time to time from membership areas and discontinued. This information will be unaccessible even to lifetime members. Lifetime membership covers all courses and trainings (recordings and downloadable resources) available at the time of purchase ONLY. It does not cover new recordings created AFTER you purchased unless specifically acknowledged, or any future recordings added to our training area. There are no guarantees of FUTURE trainings being made available either in the membership area OR to lifetime members. Lifetime membership only covers lifetime access to courses available at the time of purchase within the lifetime membership area. Furthermore, Lifetime Membership does not include lifetime access to Shane & Jocelyn’s private forums or masterminds. At purchase, Lifetime membership includes 1 year of access to Shane & Jocelyn’s private forum. Furthermore, Lifetime Access is the lifetime of this product and/or business. Should Flip Your Life or Flipped Lifestyle cease to exist in its current form, there will be no refunds or guaranteed access to products, trainings, or community forums. The Lifetime access to training courses is therefore tied to the life of the product, not the user. You understand and agree that your use of our website is limited and non-exclusive as an individual nontransferable revocable licensee. We may, within our sole discretion, terminate your license to use our website, and access to our website, for any reason or no reason whatsoever, and without giving you notice. This includes lifetime member access. All content on our website is owned by us or our content suppliers. This includes all forum posts, topics, replies, posts, etc. On behalf of ourselves and our content suppliers, we claim all property rights, including intellectual property rights, for this content and you are not allowed to infringe upon those rights. We will prosecute to the fullest extent of the law anyone who attempts to steal our property. You agree not to copy content from our website without our permission. Any requests to use our content should be submitted to us by email to support(at)flippedlifestyle.zendesk.com. If you believe that your intellectual property rights have been infringed upon by our website content, please notify us by sending an email to support(at)flippedlifestyle.zendesk.com, or by sending postal mail to us at the address listed below. Please describe in detail the alleged infringement, including the factual and legal basis for your claim of ownership. Due to the nature of this electronic product and the fact that it cannot be “returned”, we have a no refund policy. You cannot order and then ask for a refund straight away. Within minutes of ordering, you will be able to download years worth of our effort and knowledge. None of the content is ‘drip fed’ – you get all of it right away. There is no undoing that once you access the members area. There are no partial month refunds, partial refunds on annual payments, or refunds of any kind on any other products. NOTICE: SELECT promotions may include a 30 to 90 day money back guarantee. This money back guarantee is subject to change and must be marked on the promotion page at the time of purchase. Conditions may include proof that the user gave his or her best effort to take action on each training video, participated in the community on a regular basis during the trial, and made every effort to succeed. If you are dissatisfied with your purchase for any reason, you will be able to cancel any future community membership payments as long as you submit the Cancellation form at least 48 hours prior to the payment processing date. We cannot guarantee your cancellation request will be processed in time if it occurs within 48 hours of 12:00am EST on the billing date. The billing process is automated, but the cancellation process must be handled manually. There will be no partial (or prorated) refunds on monthly OR annual payments. Cancellations will be effective immediately once the cancellation request has processed.You will be unable to log in to the Flip Your Life Community at that time. If you did not submit your cancellation request in time and the current month’s payment has already processed, we will not issue a refund for the current month or reinstate your membership until the next billing cycle. If you cancel and then decide to join the Flip Your Life Community again at a later time, you will be reinstated at the current membership rate, regardless of any special offers or discounts you received in the past. We offer a 90 day money back guarantee on annual memberships sold for the price of $799 ONLY (usually sold as a webinar special or free trial upgrade). No refunds will be processed outside of the limited window for any reason. There is a $99 charge to process these refunds to compensate for customer service, content delivery, coaching and other services provided during the 30-day window. You recognize and agree that we have made no implications, warranties, promises, suggestions, projections, representations or guarantees whatsoever to you about future prospects or earnings, or that you will earn any money, with respect to your purchase of SamsDigital LLC products, branded as Flipped Lifestyle/Flip Your Life, and that we have not authorized any such projection, promise, or representation by others. (i) The Economy. The economy, both where you do business, and on a national and even worldwide scale, creates additional uncertainty and economic risk. An economic recession or depression might negatively affect the results produced by Sams Digital LLC products. (ii) Your Success Or Lack Of It. Your success in using the information or strategies provided at http://successetc.com depends on a variety of factors. We have no way of knowing how well you will do, as we do not know you, your background, your work ethic, your dedication, your motivation, your desire, or your business skills or practices. Therefore, we do not guarantee or imply that you will get rich, that you will do as well, or that you will have any earnings (whether monetary or advertising credits, whether convertible to cash or not), at all. Internet businesses and earnings derived therefrom, involve unknown risks and are not suitable for everyone. You may not rely on any information presented on the website or otherwise provided by us, unless you do so with the knowledge and understanding that you can experience significant losses (including, but not limited to, the loss of any monies paid to purchase Sams Digital LLC products, and/or any monies spent setting up, operating, and/or marketing FlippedLifestyle.com products, and further, that you may have no earnings at all (whether monetary or advertising credits, whether convertible to cash or not). (v) Purchase Price. Although we believe the price is fair for the value that you receive, you understand and agree that the purchase price for Sams Digital LLC products has been arbitrarily set by us. This price bears no relationship to objective standards. Please see our Live Event Terms and Conditions for more details. By purchasing a ticket to or attending any live event hosted by Sams Digital LLC, Flipped Lifestyle, Shane and Jocelyn Sams, or ANY event related to them, I HEREBY ASSUME ALL OF THE RISKS OF PARTICIPATING IN ANY/ALL ACTIVITIES ASSOCIATED WITH THIS EVENT, including by way of example and not limitation, any risks that may arise from negligence or carelessness on the part of the persons or entities being released, from dangerous or defective equipment or property owned, maintained, or controlled by them, or because of their possible liability without fault. I certify that I am physically and mentally fit, have sufficiently prepared or trained for participation in this activity, and have not been advised to not participate by a qualified medical professional. I certify that there are no health-related reasons or problems which preclude my participation in this activity. I acknowledge that Shane & Jocelyn Sams, Sams Digital LLC, Flipped Lifestyle and their directors, officers, volunteers, representatives, and agents are NOT responsible for the errors, omissions, acts, or failures to act of any party or entity conducting a specific activity on their behalf. I understand while participating in this activity, I may be photographed. I agree to allow my photo, video, or film likeness to be used for any legitimate purpose by the activity holders, producers, sponsors, organizers, and assigns including future and current promotional campaigns. I CERTIFY THAT I HAVE READ THIS DOCUMENT AND I FULLY UNDERSTAND ITS CONTENT. I AM AWARE THAT THIS IS A RELEASE OF LIABILITY AND A CONTRACT AND I ENTER INTO IT THROUGH THE PURCHASE OF MY TICKET AND I AM ACTING OF MY OWN FREE WILL. However, by purchasing Flip Your Life you accept and agree that you are fully responsible for your progress and results from your participation. We offer no representations, warranties or guarantees verbally or in writing regarding your earnings or results. By purchasing Flip Your Life, you understand because of the nature of the program and extent, the results experienced by each person may significantly vary. Flipped Lifestyle and Flip Your Life are registered Trademarks.